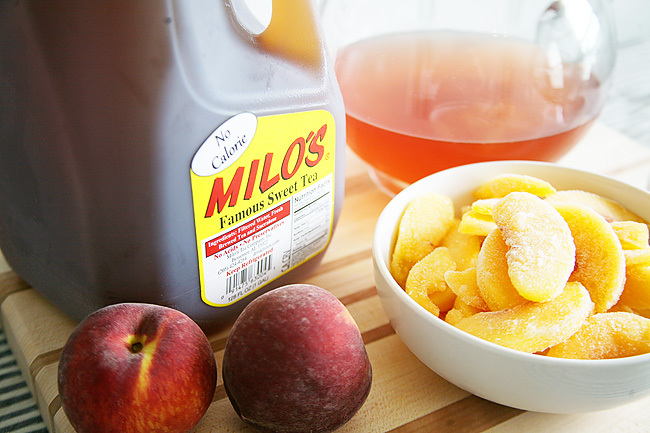 Okay, remember that yummy Frozen Peach Raspberry Sweet Tea we made last week? Well...I decided to give it a little twist. It was so mouthwatering that I thought it would also make a great base for a cocktail. Mr. Cute agreed, and we staged a little taste testing to come up with the best combo. 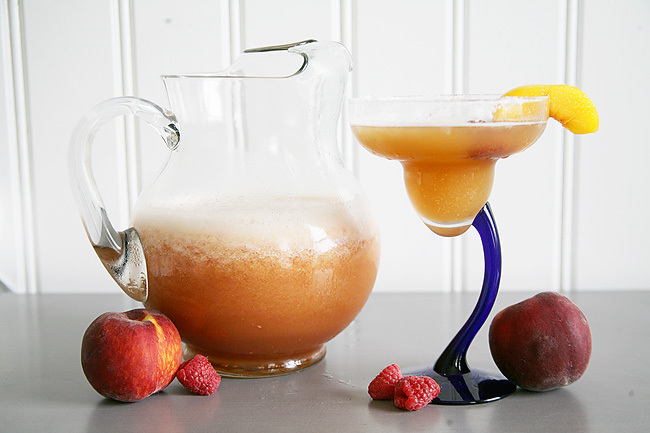 After trying a few different combinations we landed on an out of this world recipe for a Peach Raspberry Margarita. Originally we thought vodka would make for a great addition, but it just didn't have the "bite" we were looking for to differentiate it from the base drink. Adding a little tequila to transform the drink into a margarita? A whole new level of yummy. 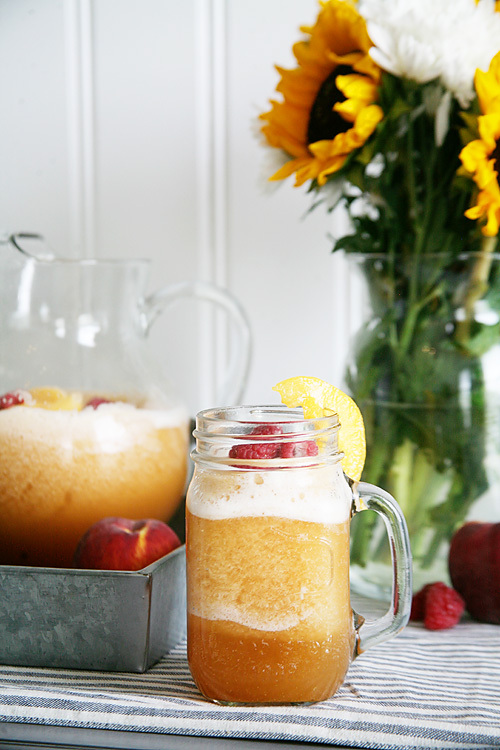 It's super easy to make, and when hosting a summer gathering it is easy to make both the original recipe and the alcoholic version little extra effort. 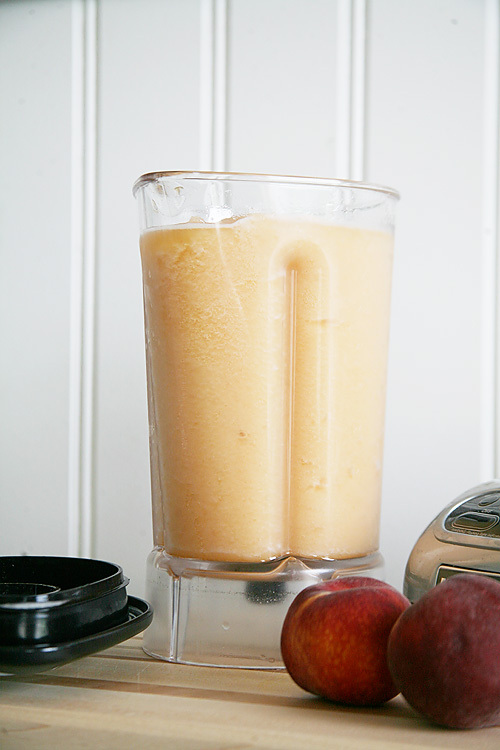 1: Place peaches and ice cubes and blend until diced. 2: Add sweet tea, raspberry juice, and raspberries. Blend until smooth. 3: Add tequila and triple sec. Blend until well mixed. 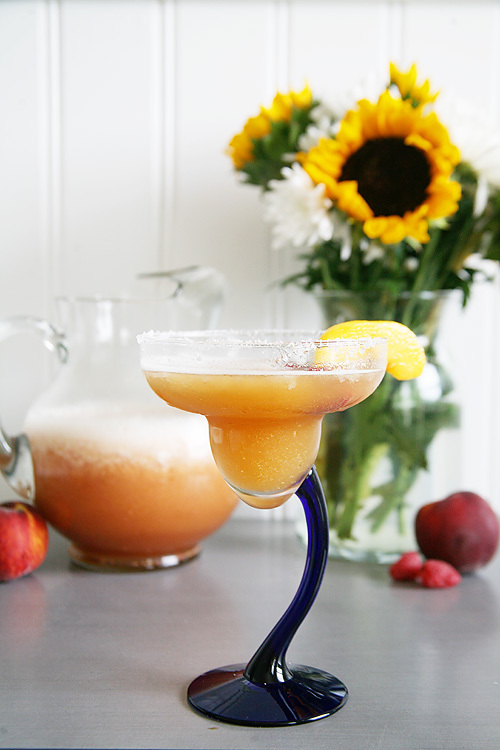 5: Optional: Rub rim of margarita glasses with peach slice and then dip rim into saucer with sugar. 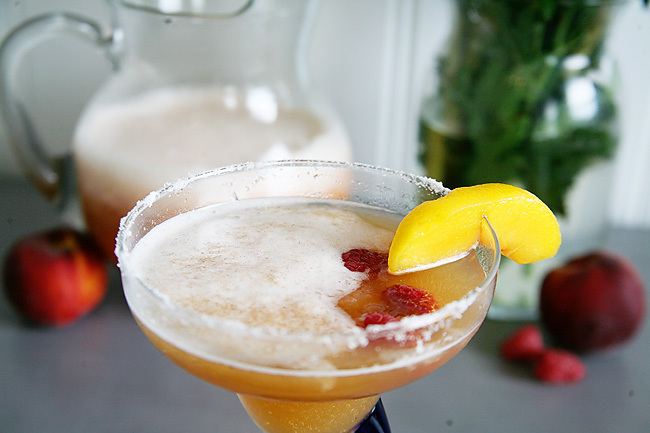 6: Garnish with fresh peach slices and raspberries. 7: Serve and enjoy immediately. It's seriously so yummy this might be one of my new go-to drinks for the summer. 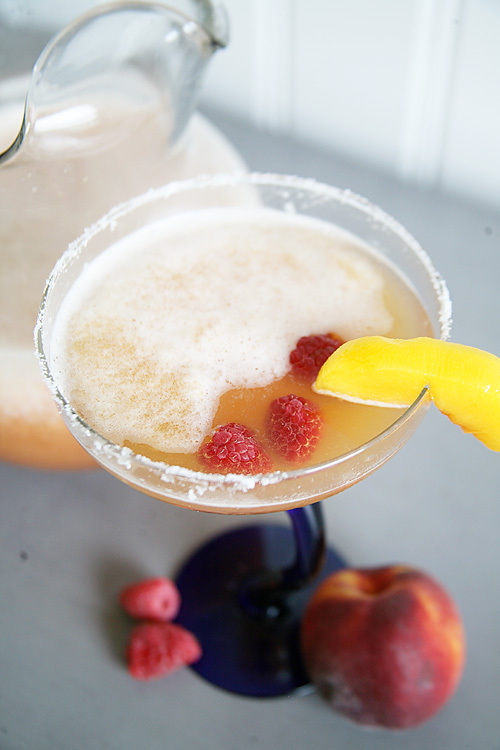 I'd have to break up a little bit from my true summer love - the poptail - but this Peach Raspberry Margarita is a close favorite. 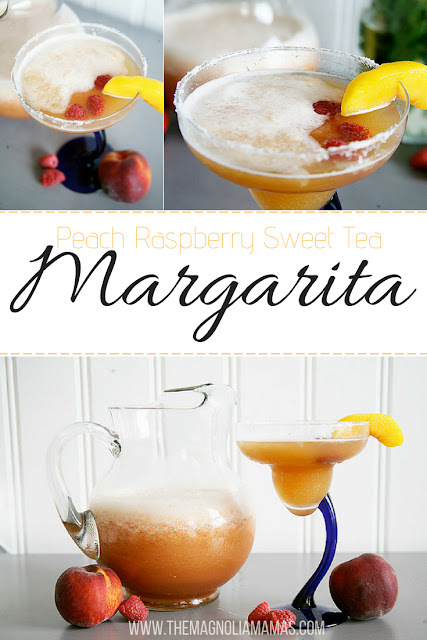 What are some of your favorite margarita recipes? Are you all about the original? Frozen? Or like a good fruity alternative? Share with us!